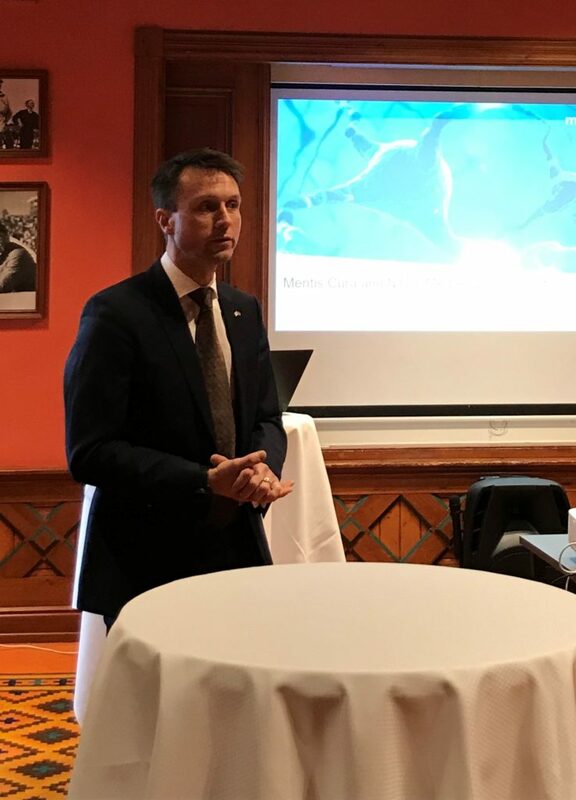 January 24th the Norwegian-Icelandic diagnostic company Mentis Cura arranged a signing ceremony together with the Japanese company Nihon Medi-Physics Co., Ltd to celebrate the signing of an exclusive partnership agreement estimated at 900 million NOK, which will bring their technology out to the Japanese market. This is a big day for Mentis Cura, the Norwegian health industry and the increasing number of patients suffering from dementia. The chairman of the board, Jan Fikkan, explained that this agreement has been in progress for over two years, which characterizes the Japanese way of doing business – long-term and process oriented. “Norwegians tend to be quite rapid and aggressive when doing business, but we have experienced that we need to pe patient. It takes time to build a good and trustful relationship with Japanese partners”. The company was established in Iceland by Kristinn Johnsen in 2004 and moved to Oslo in 2016 to build an organization with a strong focus on industrializing and commercialization. Now eight people, out of sixteen, are located in Oslo Science Park. Fikkan worked at Nycomed, now GE Healthcare, where he headed the Japanese operations. December 17th Fikkan and CEO, Claes Watndal, finally signed a contract at the Norwegian Embassy in Tokyo. This agreement covers development, commercialization and sales of EEG analysis software for the Japanese market. Mentis Cura will be responsible for clinical development and regulatory clearance for the EEG analysis software, and Nihon Medi-Physics will be responsible for its exclusive commercialization in Japan. Japan has the fastest aging population in the world. Dementia is closely connected to age and is a fast-growing disease among the Japanese (and the rest of the world). Psychiatrist Professor Dag Aarsland claims that globally every three seconds a new person gets dementia. State Secretary Ms. Anne Bramo at the Ministry of Health and Care Services expressed joy and positivity during the ceremony. 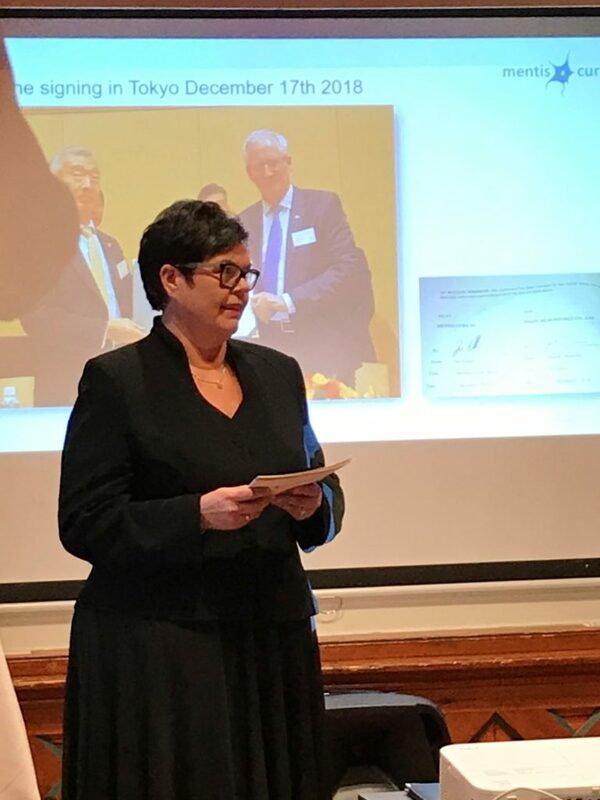 Norway is facing several challenges in the healthcare sector and she pinpointed that Mentis Cura’s work goes in line with Norway’s increasing population and the health-related issues connected to it. “We are already looking at Japan as a source of inspiration. People want to stay home for as long as possible and this is an example that technology can enable this”. The importance of discovering the disease at an early stage is essential to keep the deterioration as low as possible – and not least, to precisely diagnose to make sure the patient get the right treatments and hence the best quality of life. This is where Mentis Cura’s technology is unique – it can pick up specific fingerprints of diseases just after a 5-minute recording of the brain activity. The foundation for this capability is the company’s database of more than three thousand patients followed for up to ten years. “The key is our dataset and machine learning”, Watndal explains. The actor Robin Williams was used an example in Professor Aarsland’s presentation. He was not diagnosed and suffered most likely from the common but frequently misdiagnosed disease, DLB, a terrible form of dementia with poor outcome. When you are not diagnosed, you will not get the right treatment either. “Williams could have had better life quality with the right diagnose” Aarsland concluded. 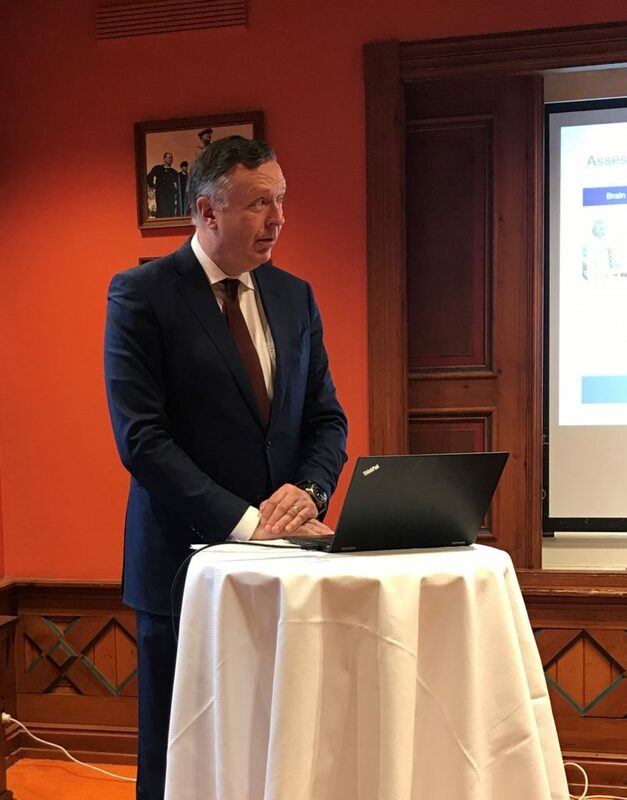 Investor Gert W. Munthe summarized the event by highlighting tree key messages from the ceremony – why the Mentis Cura excitement. “First of all, because of the cutting-edge technology that can revolutionize the future dementia treatments. Secondly, this collaboration between Norway and Japan is remarkable and stands out as a good example for the Norwegian industry. The third and most important thing – the mission of the company. This can actually make a life changing difference for a lot of people. 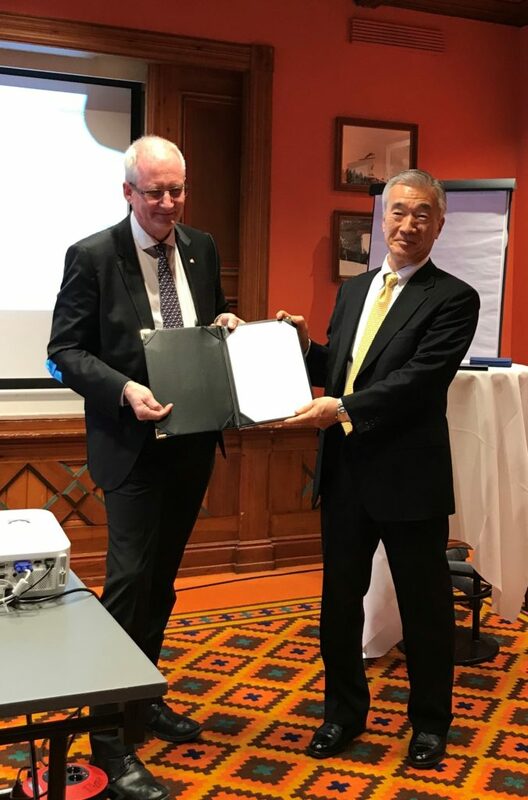 This agreement with Nihon Medi-Physics can make Mentis Cura’s technology available for millions of people, which is the most valuable outcome from this happening”. 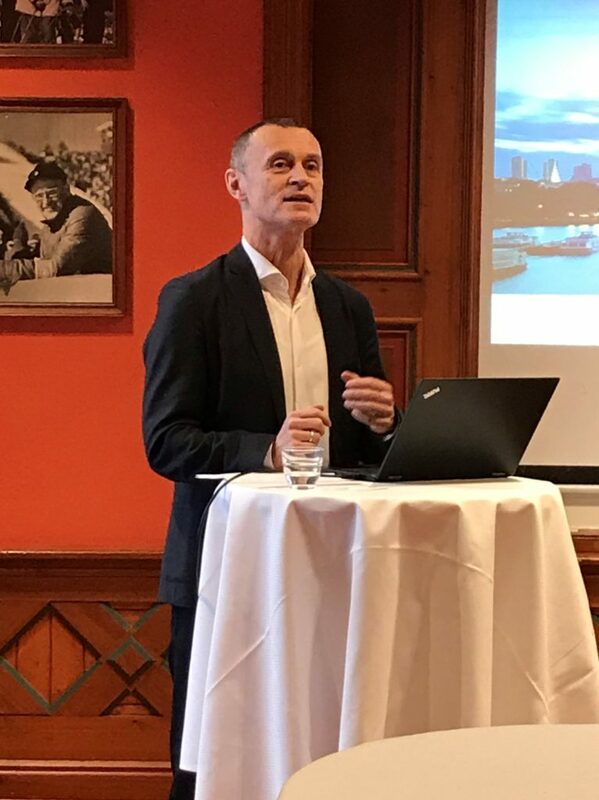 Further on, Munthe said confidently that he was looking forward to commercial revenue within the first quarter of the year and expecting promising outcomes for 2019. Norway Health Tech is applauding our member Mentis Cura for exceptional good work. We are happy to witness such a good success story of hard work and admirable results. This is well deserved. May 2019 bring both positive numbers and better quality of life for people with dementia.